That didn't work either! As soon as a second coat hit these it was like it became instantly tacky and non-magnetic. My thumb was a very sorry case, I should have took a photo - only one small stripe down the middle had any magnetic design at all. I did throw a top coat on these which had no effect on the polish design, but realized after two minutes that I was not going to wear this out in public looking like such a sorry mess. I took it off. As for the magnet caps themselves, they just seem okay to me. They are easy to place over your nails but nothing ground-breaking in my opinion. With my LCN magnets I often rest the end of the magnet on my cuticle in the same way; likewise the Layla cap magnets are very friendly to being used the same way. 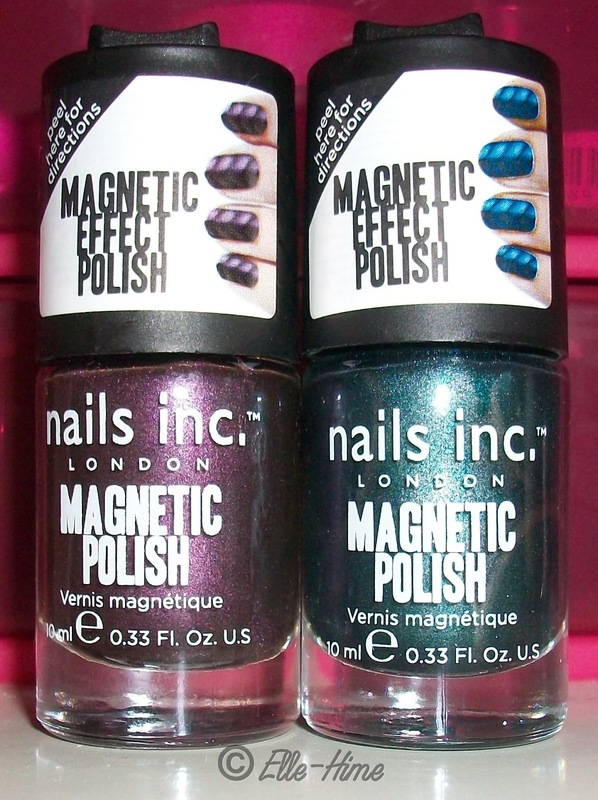 If anything I'm wondering if I got dud magnets and plan to test them with my other polishes. Or it could be dud polish, as it barely reacts to a magnet being held directly against the bottle, regardless of what brand it's from. So I'm thinking this polish isn't the greatest. Sad, considering how great magnetics should be. Hopefully it was just a bad first run of it. 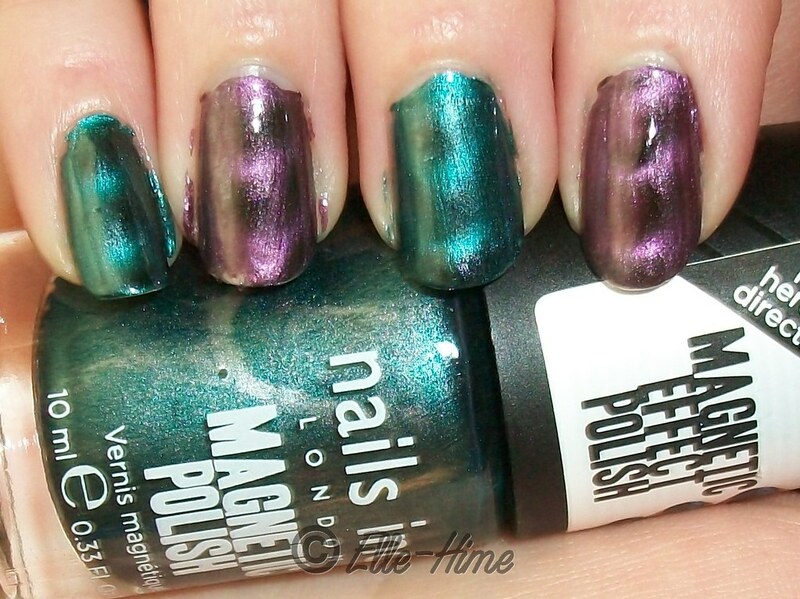 The other swatches I've seen Online of this Nails Inc. line are really beautiful and that's why I jumped on these colors. I plan to try using these again and if they work any better for me I will post an update. Alright I know that is a total sample MESS but I was so amused that I couldn't help sharing it. The items I actually purchased were the LAVANILA fragrance Pure Vanilla Luxury Set and Pacifica perfume Island Vanilla. I selected assorted fragrances as my free samples (one got substituted, oh well) and even added a code for more fragrances that came in a nifty drawstring Sephora bag, which now holds my untried scents. There were 4 men's colognes so those went to the boyfriend. =) The other items I bought were already given away. First Picturesday Happens in 1 Week! CherryCulture Haul - Lots of Nyx polish to see!